Over 35 years I worked my way to almost the top of my profession. I earned a good salary with a bonus and a good range of fringe benefits, all of which of course was taxed appropriately, so I have paid a great deal more than many over the years. There was a lot of stress and very long hours usually 7 days per week. I spent a lot of time in the car – usually in the dark at the start and end of day. With a makeshift home office in an obscure corner of the house, the family was never sure whether I was home or not. I’d be away 2 – 3 nights a week. Any free weekend time was usually taken up with DIY, so I missed huge chunks of the kids growing up. I did not have the luxury of a second home funded by someone else. I have a number of regrets, but no complaints – they were all my own choices as I’d believed what successive Governments had told me. However, two years ago and at the age of 60 I injured my back, which rather than get better as it had done previously, got far worse. After 9 months of agony I underwent extensive surgery mid 2010 in the full knowledge of the risks, the range of possible outcomes and the fact that it was the last resort. I was warned that recuperation would take a long time, but like all blokes I thought I was Superman and whilst it would take mere mortals a couple of years, I would be limbo dancing within a few months and more than ready to compete in the 2012 Olympics. I was over optimistic. 18 months on from the surgery, the excruciating pain spasms have thankfully gone. I still suffer continual pain at one level of another most of the day and am woken every hour or so during the night, so try to catch up on sleep as best I can during the day or I would deteriorate fairly quickly. My whole life is geared around pain management – everything I do and when I do it is dictated by something over which I have little control. I take a range of painkillers, which offer some relief, but they all have unpleasant side effects and could become addictive, so I take them with caution. On balance I would rather live with the pain than spend my time in a heavily constipated and semi-vegetative state. I have and will continue to try any advice going to generate even a slight improvement. I had intended to use these last few working years to fill my pension pot for a modest lifestyle on retirement, but that ambition has been blown as I have not been able to work for 2 years. I still however believe that with the right help for a bit longer I can get back to it. Over these 2 years we have had to dip into the pension pot to get by, not helped by the fact that for even the simplest DIY job, we have to get someone in as I cannot do it myself any more. 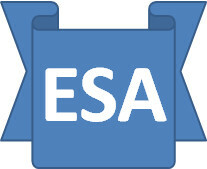 ESA has helped and mitigated the financial impact elsewhere. I am not at all happy with this situation, most certainly did not plan it and will continue to do all I can to get it back to semi-normal, but I will need help just to prevent any further deterioration. I am very aware of my responsibilities to my nearest and dearest, the state and last but not least, myself. I do realise that despite all of this I am a lot better off than many who are paid state benefits, but I nevertheless greatly resent being labelled as a benefits scrounger and having my health & wellbeing dictated by a faceless clerk in a DWP office with no medical training. Neither is appropriate nor indeed necessary, unless of course you do not mind displaying the contempt you have for the people whom you are meant to serve. I would be much more willing to make sacrifices if I could see the people “above” me taking their fair share of the burden, rather than just the people “below” me. I can see nothing “progressive” at the moment. You can guess who I am taking about. I never thought I would follow my mother’s footsteps and become a middle-aged lefty reactionary and there is still time for my salvation, but NOT under this Government I fear. Come on Mr Clegg, enough is enough – you have the power to start the change.